Met with Franc, Sophia & Brandon about where I am in this stage of the project. 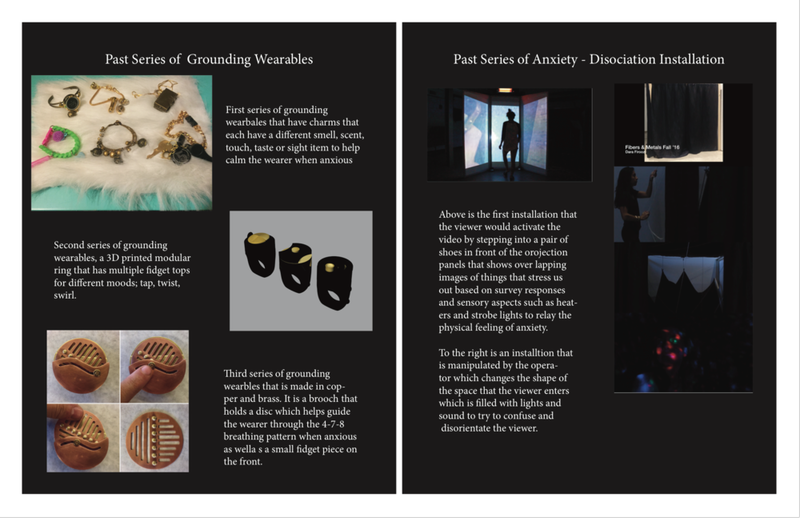 They listened to be jump back and forth between different ideas in terms of the intentions of the products being categorized into coping, mindfulness, and tracking and also heard me out on my struggles as well as motivation to incorporate electronic components. However, I feel torn after seeing these two projects by artists that focus on materials and form rather than add flash to their projects that successfully relayed an experience. This is making me question whether Arduino needs to be incorporated at all or if I should push myself to work more so with materials and form. -gesture to activate -> what are peoples stress gestures? -how can playback be incorporated? -> can gestures control speed of functions? Artist Nicolette Bodewes designed a series of twelve products intended to be used as visual aids during therapy appointments which are based on the “jungian Archetypes defined by Swiss psychologist Carl Jung. 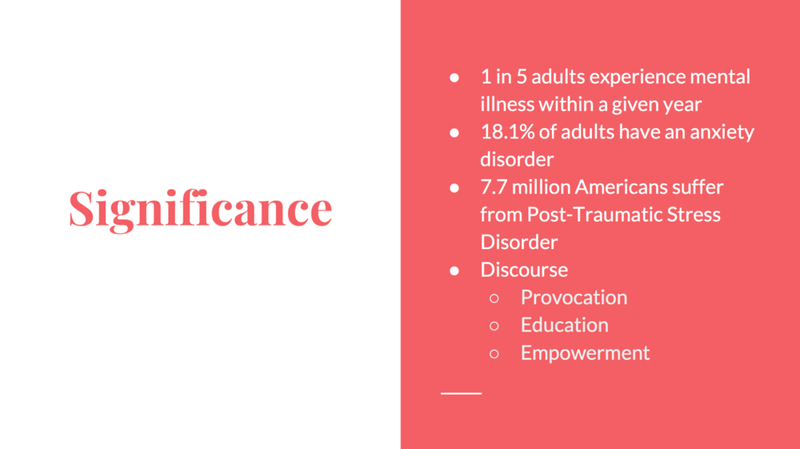 Artist Nienke Helder designed what she calls therapy tools for women recovering from sexual trauma. These products are intended to help the user gain comfortability and confidence with their body again. Spent the majority of the day reading from the packet that Franc gave me about Haptic Design and then taking notes on important sections. There are so many terms and theories of design that can be incorporated into this project. I feel like I have so much research but need to find a way to make it work with each other as well as have a way for people to understand its intentions. Submitted update IP project proposal over the weekend. Continued sketching for form and function. Researching different possible materials. Sketching makes me realize that I might not have a full comprehension of the scale of some of these Arduino components and it might be more helpful to have them in front of me to then sketch how the form would exist around the components. The final form might not be metal even though that is my passion, a mixture of different materials might be more beneficial. Working on mind maps and different ways to get my ideas out and putting them up on my wall. Trying to narrow in on the intentions to help to guide the form and functions of my sketches. Also using my materials list to help me think about which electronic components can help relay certain calming mechanisms. Finished writing my review of Ramon Telfer's products for 399 Design Review essay. I am starting to think that the final form doesn't have to be precious metal, that it could be rubber or a more flexible material, and even in combination with metals. 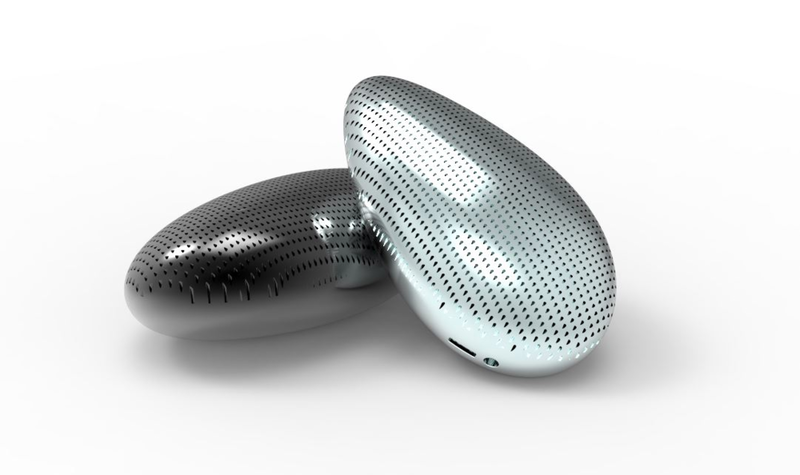 Metal might come off too cold and rigid, where as a more malleable material might be more approachable for the function. 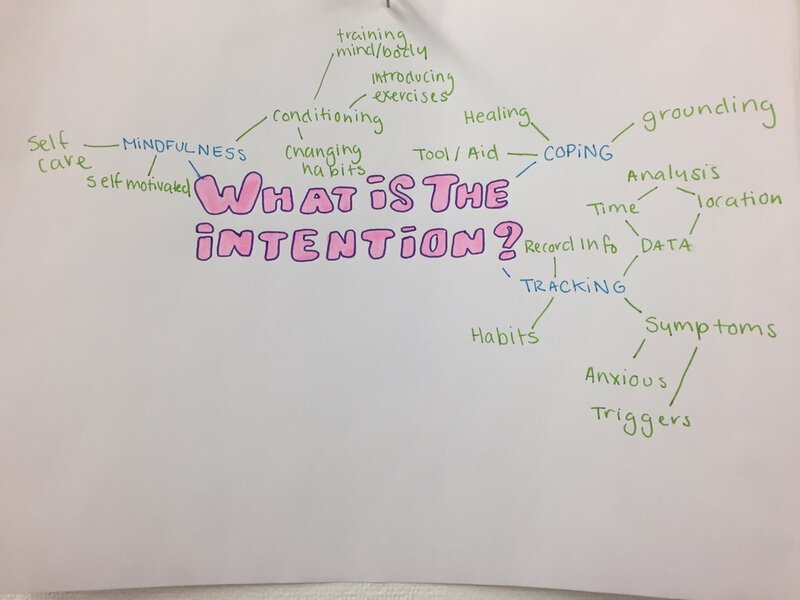 I am thinking about the different intentions of the products and I have narrowed it into 3 potential categories of coping, tracking and mindfulness. Continued working on materials and budget list for IP Grant. Reviewed and responded product inspiration and designer Ramon Telfer for ARTDES 399, the designer and products are inspiration for my IP final form. Sketching forms and contemplating functions for my wearables. Writing the review for 399 I really helping me to think about the intentions of the wearables I am designing. 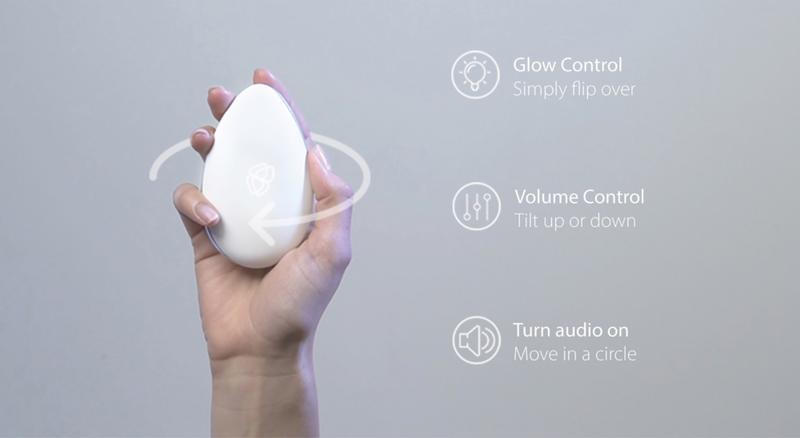 With Ramon Telfers work, he has one product that promotes mindfulness for the user, and the other that helps the user to track their own triggers through written reflection. Both of these products are activated by the user and lay dormant without the users motivation to heal and or cope. food for thought! Gotta get to it! Trying not to sound redundant in my proposal. Working on description. Made outline for annotated bibliography and started citing the sources. Reviewed and rewrote proposal outline that we began in IPPP. Started sketching possible display options for IP. Read up on anxiety and PTSD on NAMI.org . Applied for Arts Engines Grant. That I should focus on the wearables instead of that plus the anxiety installation. To hone in on two series, one more speculative and the other more commercial while considering the discursive overlap for both. Going back and forth about if I should focus on just anxiety or just PTSD rather than both, but then realizing that PTSD is an anxiety disorder so they are connected and relevant enough to each other. Met for group critique in the morning. In the afternoon I considered what was discussed during the crit in the AM and took some follow up notes on their responses and suggestions of artists to look in to. I also made a survey and passed it around. I think the two things that I took the most from the group crit was to consider making my work more avant garde and bold rather than commercial and reserved to help break the stigma, and the other thing to consider is the form and placement of the body that would benefit grounding the most. The idea to go bolder and more discursive does make me a bit nervous since I am interested in the commercial everyday wear side since I think the can be beneficial, but Sophia made a good point that the more over the top ones will bring people in and help them understand the concept which will make the interested in purchasing the more commercial designs for themselves. In order to explore the best placement for the body I made a survey that asked how does your body respond to anxiety and where does your body respond to anxiety as well as a drawing and annotation section where the survey taker would explain where and how their body responds to anxiety. I played around with the Arduino kit for the first half of class. I worked on setting up the LEDs to correlate to the 4-7-8 breathing pattern, and also made it play happy birthday and twinkle twinkle little star by using the piezo buzzer. I also made a toy motor and a servo run, not totally sure what to do with it but it worked! two circuits didnt work but I am determined to figure out why! During the second half I did some thinking about how to apply the Arduino circuits to work with mental health and did some sketching. Research interrogative design and search for essays and talks by Krzysztov Wodiczko. Consider timeline for project and question where to start. Convo with Brandon about my initial thoughts. Set goals for myself, find people to talk to, make list of skills to learn, develop thought process and diligence.